As uncertain I am to the life after Brexit, I will try to think as many possibilities as possible to guess where the UK immigration is heading after Brexit. Yes once again, this is my guess, this is an opinion writing, and thus this article should not be used as an immigration advice. 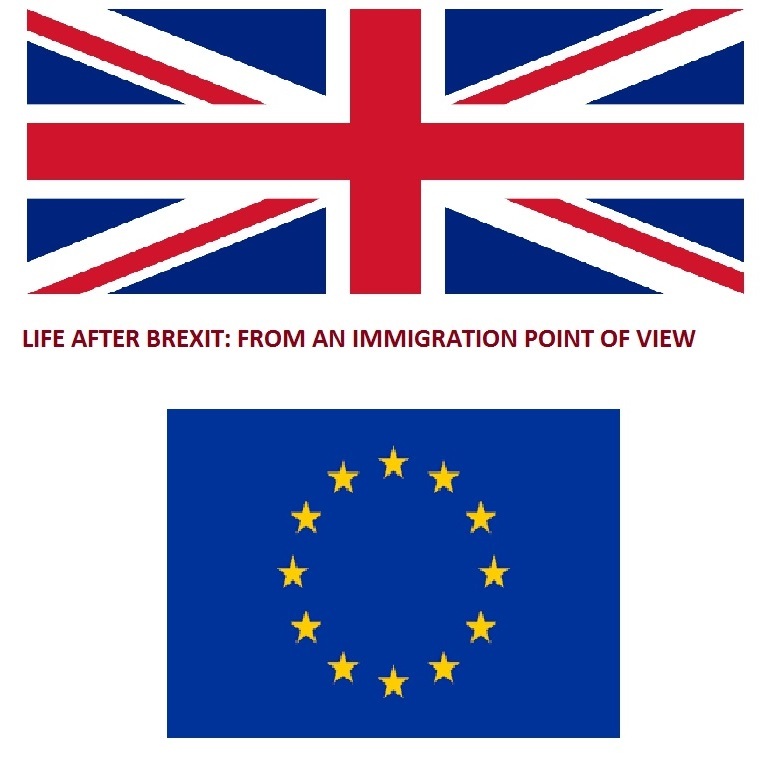 As I am observing the Prime Minister speech about Brexit today 17th January 2017, I am still uncertain of the UK immigration point of view after Brexit. So what will happen in the UK border control? What will happen with the EU citizens already in the UK? How about their dependants? What will happen to the British citizens already in the EU countries? How about non-EU citizens? Well I am trying to think many possibilities that may happen after Brexit. Please note that this writing purely comes from my head and thus the credibility of it should not be trusted. I use the term EEA here and not EU, because EEA citizens are part of the single market, thus they have the right to move freely across EU countries. 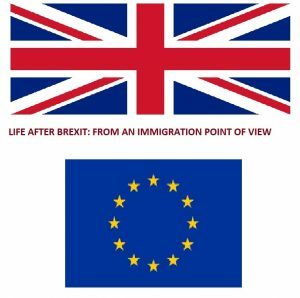 What will happen to EEA citizens already in the UK before the Government trigger Article 50? Nothing happens and nothing changes. The term ‘EEA citizens’ that I use in this writing refers to those who are residing in the UK. Thus, according to the government website here, EEA citizens are qualified to live in the UK when they are working, studying, self-employed, self-sufficient, or looking for work. Please note that EEA citizens that are already in the UK for continuous five years can apply for Permanent Residence Card. With this Permanent Residence Card, EEA citizens will have the right to live in the UK permanently. Please see here of how to apply for a Permanent Residence Card. What will happen to EEA citizens come to the UK after Article 50 triggered but before the UK legally leaves the EU? Nothing happens and nothing changes. I would blindly guess that there will be a registration period after the UK legally leaves the EU. This registration applies to all EEA citizens that are already in the UK for less than five years when the UK legally leaves the EU. This also applies to those who come to the UK during this registration period. The registration period can take two to three years (given the number of people, it may not be possible to register everyone at the same time). The purpose of the registration is to make sure that all EEA citizens has lived continuously for five years in the UK. During the registration, they will probably get a residence permit with expiry date – this date depends of how long more until they complete the five years residence. After the expiry date, they can apply for a Permanent Residence Card. Well, you see, this will take probably four years after the UK triggered Article 50. Thus, this may not happen until 2021. My blind guess is if it is for visit or tourism purpose, there will be no need to apply for a visa. Or the Government can select which EEA countries that can come to the UK visa free for tourism purpose. Note that some non-EEA countries such as Australia, Canada, Singapore, Malaysia can travel visa free to the UK for visit/tourism purpose. I would guess that the majority of EEA countries will too be given visa free for visit/tourism purpose. But to reside in the UK, for work or study, there may be a need for a UK visa. Again this may depend on the reciprocal agreement between the UK and that particular country, for example if Country A decides UK citizens can work visa free then the UK will probably return the same favour to citizens of Country A. And the next question is, how strict the government control over working visa for EEA citizens after Brexit? Is it as strict as non-EEA? I have written a piece before (see here) of the tough regulation for non-EEA citizens. This regulation for non-EEA work visas can also be seen here at the Government website. Again, for immigration control, in approximately 2021, will EEA citizens need a visa to work in the UK? And will the requirements be the same as non-EEA citizens? For this question, I may say that the UK will have reciprocal agreement for selected EEA (and also selected non-EEA) countries. This include EEA family members: spouses and children. I would like to think that they have the same rights as EEA citizens. So it follows the steps above. What will happen with Non-EEA citizens? Well, I am not entirely sure. At the time of this writing, there is already a tough regulation for Non-EEA citizens coming to work and study in the UK. After Brexit, it may stay the same, or it may have reciprocal agreement for selected countries. Some non-EEA countries may see a more relax agreement, but for others nothing will change: it will remain strict. I would say until the UK legally leaves the EU (which is when? End of 2019?) there nothing changes to UK Citizen rights in the EU countries. Again my guess is there will be reciprocal agreement between the UK and selected countries – after the UK legally leaves the EU. Thus for example, if Country A allows UK Citizens to live and work visa free then the UK will probably return the favour. Again this very much depends on the UK Government position and negotiation.